Stand out from the crowd at your School Prom with an exclusive School Prom Car! If you’re looking for a Luxury SUPER Car for your school prom night look no further! We have the HUGE selection of luxurious cars available with a range of packages to suit your needs. This includes transport to the Prom venue. Photos can be taken at pick up location and outside the Prom Venue. This includes transport to the Prom venue plus return to pick up address. To avoid disappointment book early! Simply fill in our online quote form or call our sales team on 07808083903 for more details. In the past, many clients have decided on group bookings which may be a more cost effective and a more fun option. Group bookings enable you to travel and arrive in style with your closest friends to your special night. 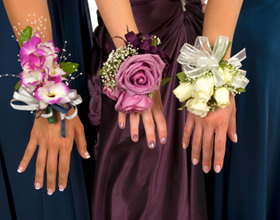 It is tradition for schools to hold the annual prom between May and June meaning there is often a high demand for cars over that period of time. Booking early will help guarantee you can hire the car to meet your specific requirements and avoid disappointment. The UK has over 31,000 schools with a large number of these being in Kent. Our advice is to book your prom car as soon as you know your Prom Date. Q) All our drivers are CRB checked? A) If you are a parent then rest assured that your children will be in safe hands with all of our drivers having undergone background and CRB checks. Q) Can you take photos? A) Yes, you can take photos with the car and inside the car. Q) Can you play music? A) Yes, you can play music. Bring your CDs, iPods and iPhones to play. Or request a choice of songs to be played throughout the journey. Q) Will the driver get the door? Q) How much will you pay? Q) How many can fit in a car? A) 3 or 4 Passengers depending on the car. Q) Where do you get picked up from? A)We usually organise your itinerary based on the pick-up and drop-off locations you specified when booking for a prom car hire, however if you require multiple pick-up points please let us know the details, so we can provide you with a quote. Q) What time will the driver arrive? A) The driver will arrive 15 minutes before the pick-up time. Q) What time should I arrive at my prom. A) We would advise you to arrive 30 minutes after the start time.